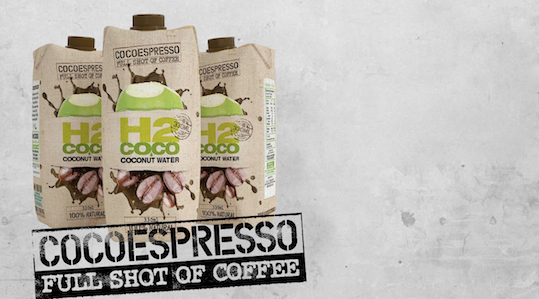 Coconut water brand H2Coco claims to have created a new category with its new mix of coffee and coconut water, CocoEspresso. H2Coco says the new drink, which is Australia’s first coconut water and coffee blend, is “a fusion of” three categories: flavoured milks/iced coffees, energy drinks and coconut water/flavoured waters. It is free from fat, dairy, lactose, gluten, artificial additives and concentrates, and its packaging is environmentally-friendly. The company suggests it can be consumed post-workout, for breakfast, as an afternoon pick-me-up, or before a night out – basically any time. “In our busy lives, running between the office, gym, job sites and home, we are often caught making a poor choice all in the name of convenience,” the company says. CocoEspresso will aim to solve these problems. The question is: will it catch on?